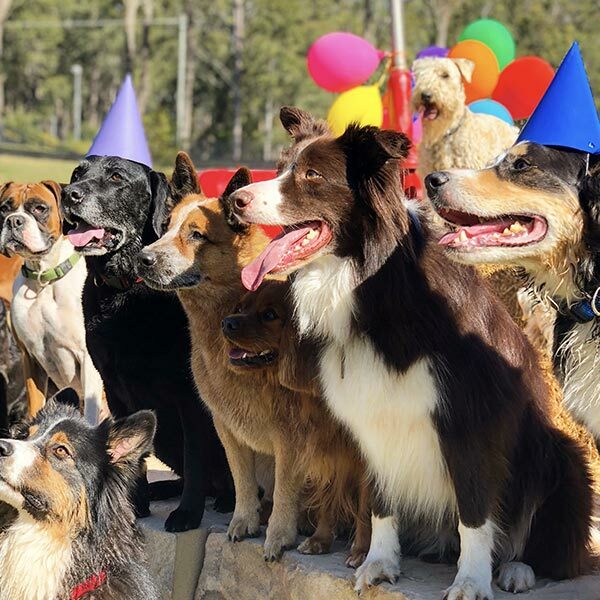 If your dog has a special day coming up please let us know. 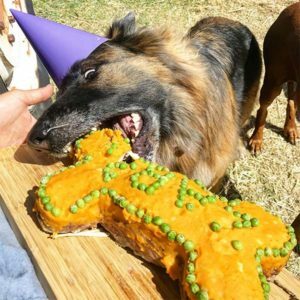 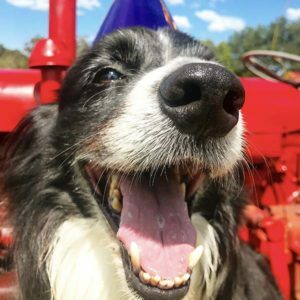 Our doggy day care farm Birthday Pawties are a great way for you to celebrate your pup’s special day by making it extra special. 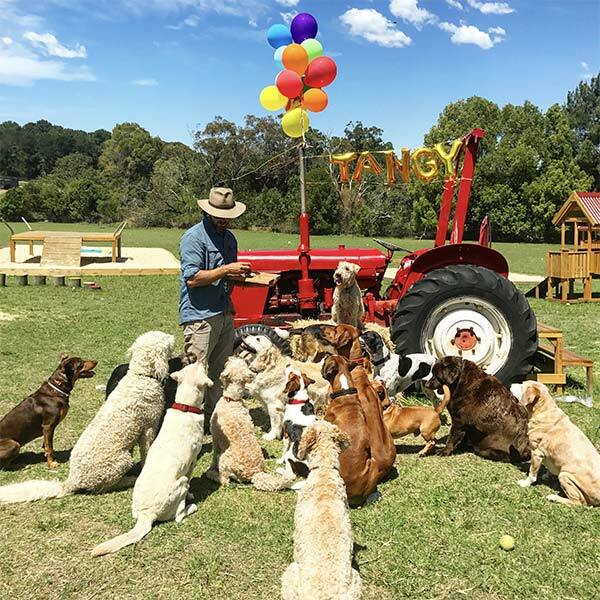 Our Farm Birthday Pawties are complimentary for regular bookings. For casual bookings we ask for a small fee to cover costs. Our personalised Farm pupcakes are homemade and you can choose from 3 different flavours. 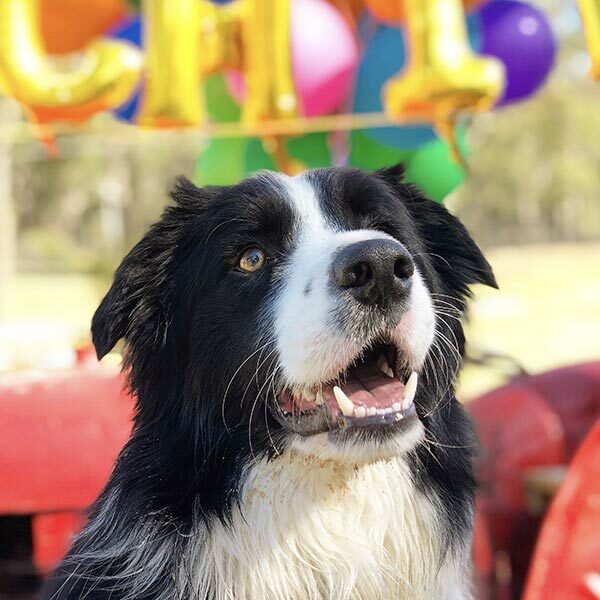 You can also choose if you’d like balloons to celebrate also! We do our best to try to take and upload some photos and videos of the occasion but unfortunately we can’t guarantee the quantity and quality of footage, specially if it’s raining! We also require at least 48 hours notice to prepare for a birthday. 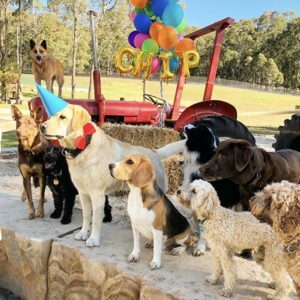 So, if you’d like us to throw your pup a party for their birthday this year all you have to do is follow the steps opposite. 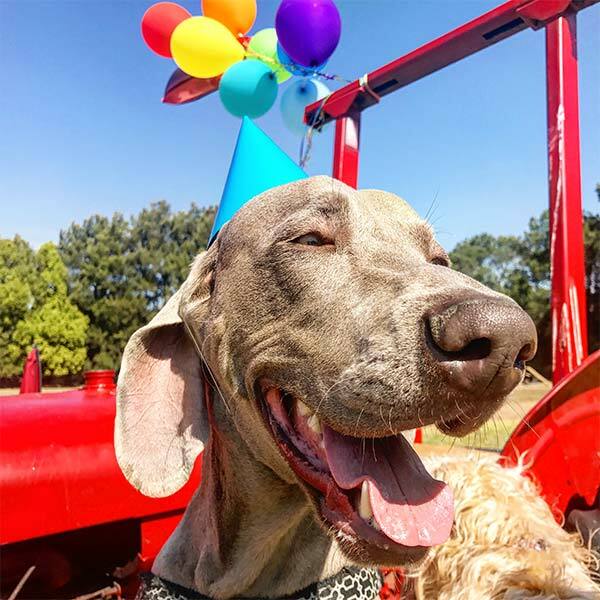 Download our Birthday Pawty booking form. 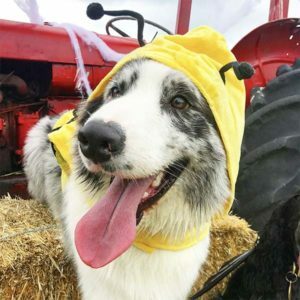 Fill out all the details and save the pdf.